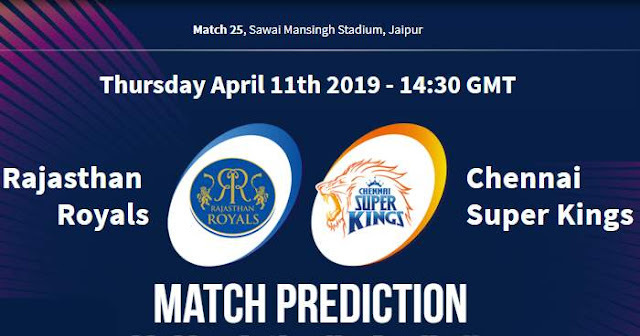 Home / Chennai Super Kings / CSK / IPL / IPL 12 / IPL 2019 / Jaipur / Match Prediction / Rajasthan Royals / RR / Sawai Mansingh Stadium / VIVO IPL 2019 Match 25 RR vs CSK Match Prediction, Probable Playing XI: Who Will Win? 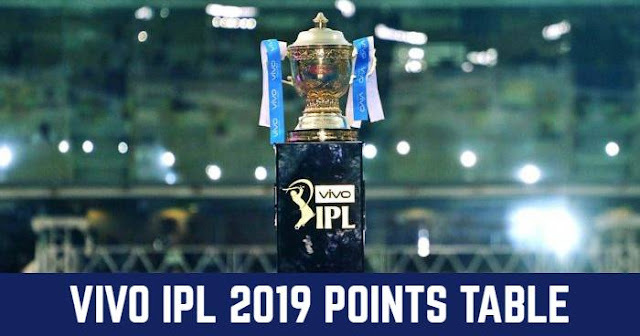 VIVO IPL 2019 Match 25 RR vs CSK Match Prediction, Probable Playing XI: Who Will Win? Probable Playing XI for RR: Ajinkya Rahane (c), Jos Buttler (wk), Steven Smith, Rahul Tripathi, Ben Stokes, Prashant Chopra, Mahipal Lomror, Shreyas Gopal, Jofra Archer, Sudhesan Midhun, Dhawal Kulkarni. Probable Playing XI for CSK: MS Dhoni (c & wk), Shane Watson, Faf du Plessis, Suresh Raina, Ambati Rayudu, Kedar Jadhav, Ravindra Jadeja, Scott Kuggeleijn, Deepak Chahar, Mohit Sharma, Imran Tahir. Looking at the dew coming in late, the toss-winning captain would like to bowl first. In the last match here between Rajasthan Royals and Royal Challengers Bangalore, the pitch didn't ease out mc and it wasn't that dewy. The Rajasthan Royals have a 20-5 win-loss record in run-chases at the Sawai Mansingh Stadium. Jaipur has a 160-170 score pitch, anything above 170 will be a par score. Our Prediction for IPL 2019 Match 25 RR vs CSK Who Will Win? Sanju Samson began the season with a hundred against Sunrisers Hyderabad but his absence since the CSK game in Chepauk has affected Rajasthan Royals batting. Though Jos Buttler and Steve Smith are the Rajasthan Royals’ two top run-getters this season. The numbers are a result of consistent performances; Buttler has had three good hits this season, while Smith’s scores have progressively become better. On the other hand, Chennai Super Kings are in great momentum, winning 5 games of the six; won all the 4 home matches. Faf du Plessis has given a great start to Chennai Super Kings in last two matches; 54 against Kings XI Punjab, and then scored a patient-yet-crucial 43 in the tricky run-chase against KKR. In our prediction, Chennai Super Kings are likely to win this match.